MANILA, Philippines – President Rodrigo Duterte signed a new law to formally ban hazing in all forms. 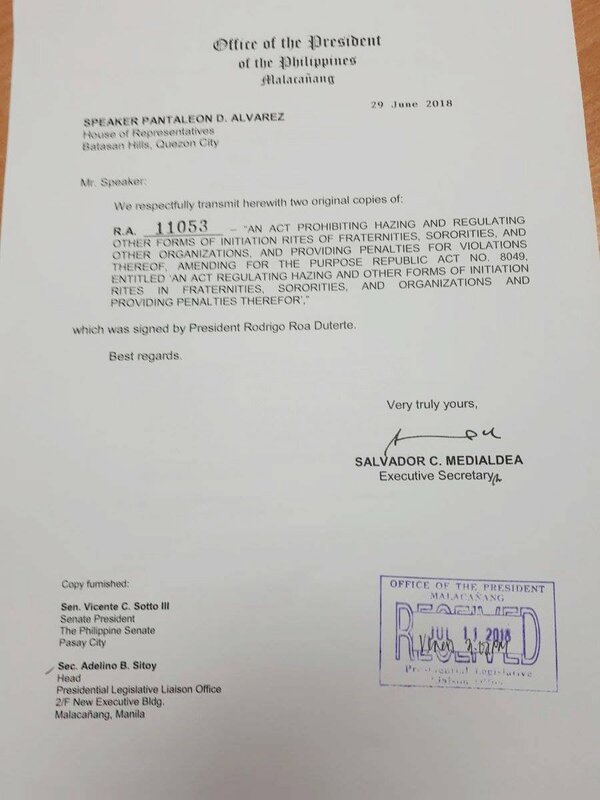 Duterte signed Republic Act No. 11053 or the "Anti-Hazing Act of 2018" to ban all forms of hazing and to regulate the initiation rites of of fraternities, sororities, and organizations. The new law is an amendment to the 1995 version that imposes stricter rules and higher penalties for those found guilty of hazing. It will now also penalize those who did not carry out the “act of hazing” but were present during the act. If a recruit is abused, injured or killed during the initiation rites, the officers and members of the group will be considered criminally liable and will be held as principal suspects. All initiation rites by fraternities, sororities, and organizations need submit a prior written notice to their school or head of the organization at least seven days before the activity. 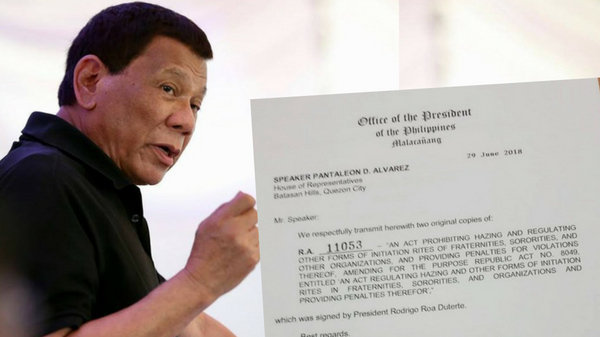 The President signed the bill to become law last June 29 but copies of the law was only released to the media on Wednesday. The move was an attempt to make fraternities, sororities, and organizations a much healthier community and to protect recruits from abuse. 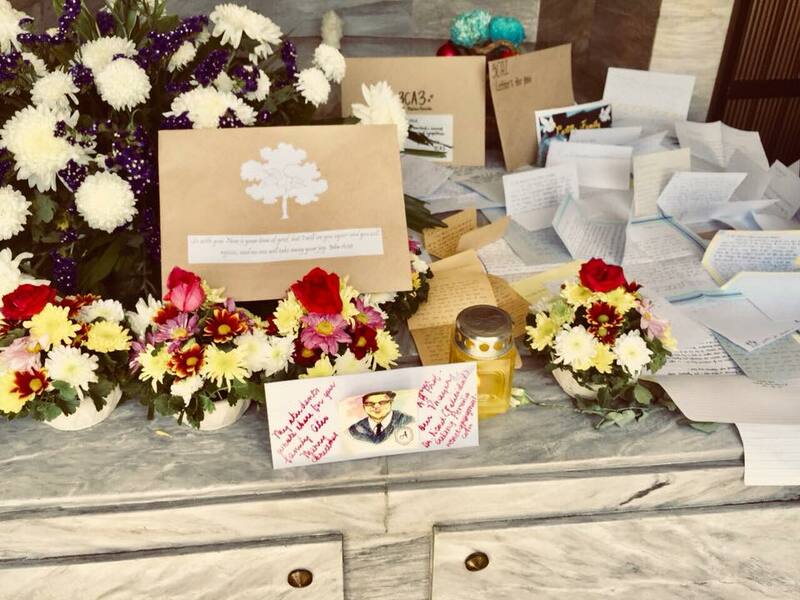 The law was approved following the controversial death of University of Santo Tomas law freshman Horacio "Atio" Castillo III who died during his initiation rites to be part of Aegis Juris Fraternity. Ten Aegis Juris fraternity men were charged and indicted to Castillo’s death. On March 23 2018, the law students surrendered to the National Bureau of Investigation. Charged with a non-bailable case of hazing, the group still continued their vow of silence even until their detention. All 10 men still have a pending motion to be granted provisional liberty.